With the temperature dropping, and the nights feeling colder it’s easy to feel bummed out. I felt like I needed to do something to get me excited about the imminent winter (yes, we know “Winter is Coming”. 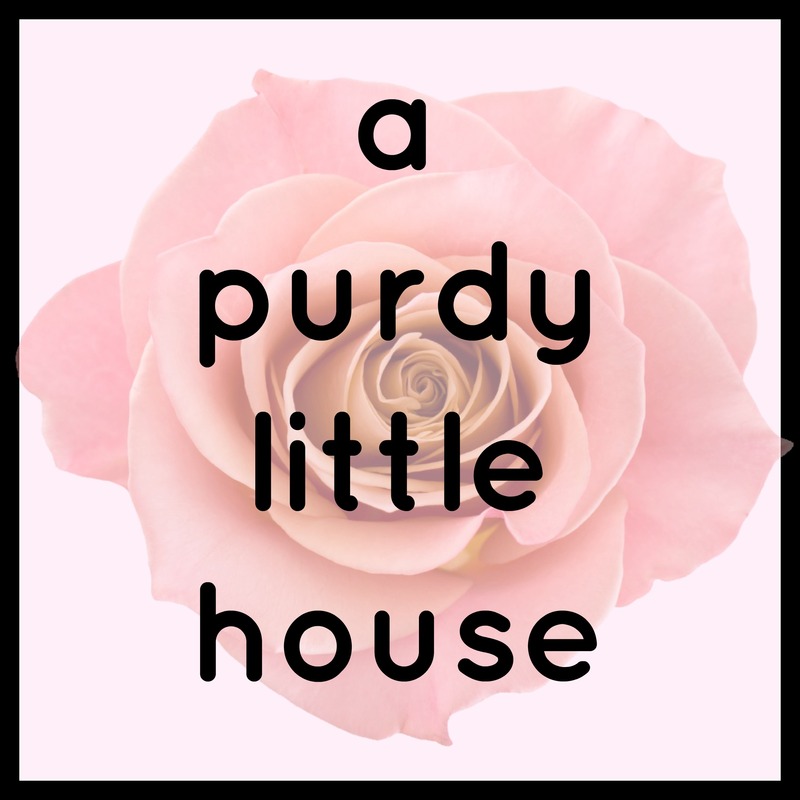 Thanks Captain obvious aka Ned Stark), and so I figured I would start with cozying up my space. 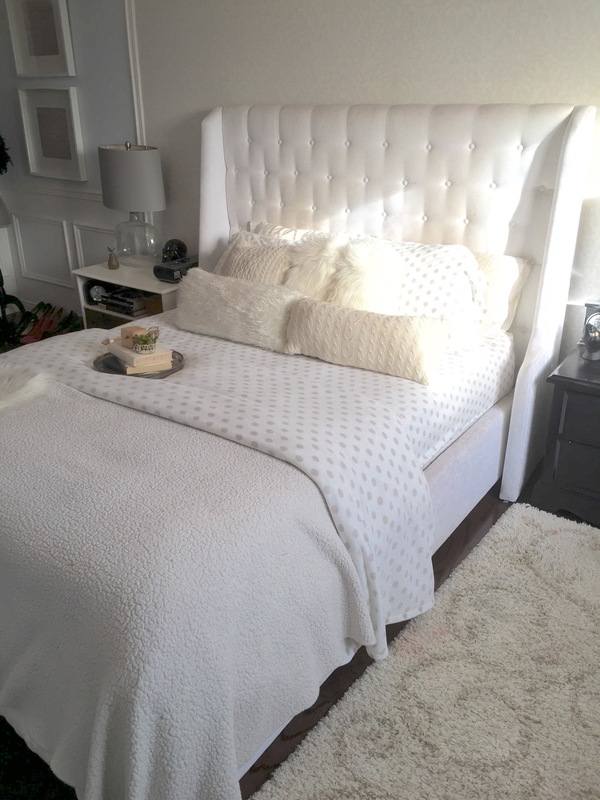 Here are five easy steps you can take to make your bed feel nice and warm. It all started with a recent trip to Home Sense, which is basically the same store as Home Goods for my American friends. STEP 1: Find some warm plush sheets that will add warmth. Step 2: Add some fuzzy and warm throw cushions. 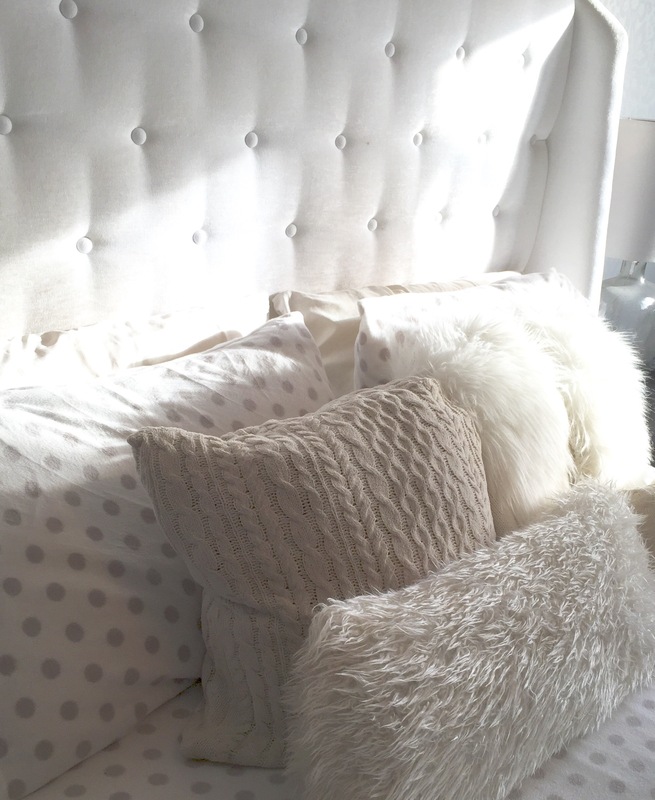 I shopped my house and rounded up all my fuzzy and warm cushions and paired them all together on the bed. I love the different textures of these cushions and think it helps add some interest. Step 3: Layer in fuzzy blankets and throws. 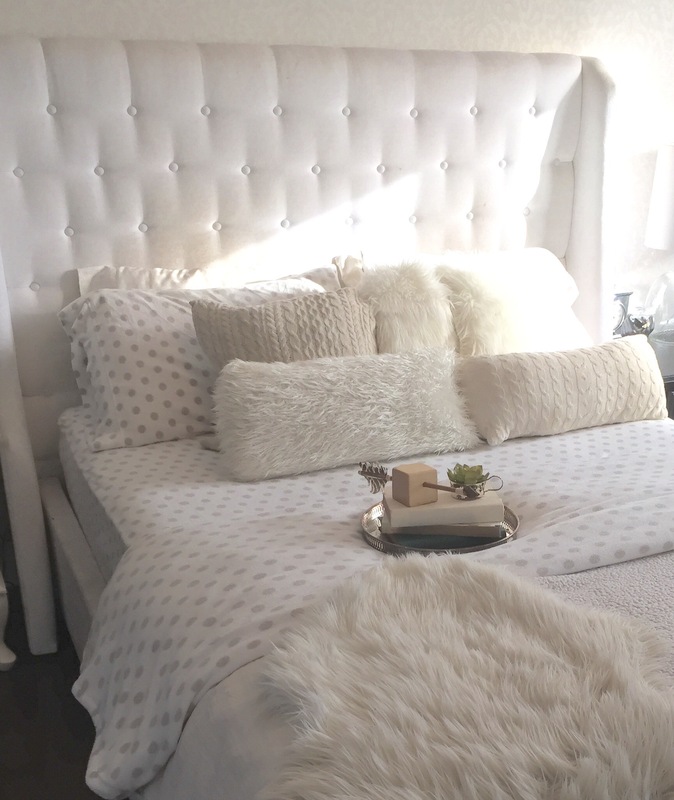 For our bed, I like to stick with a neutral white duvet cover, so that I can add different elements whenever I want. 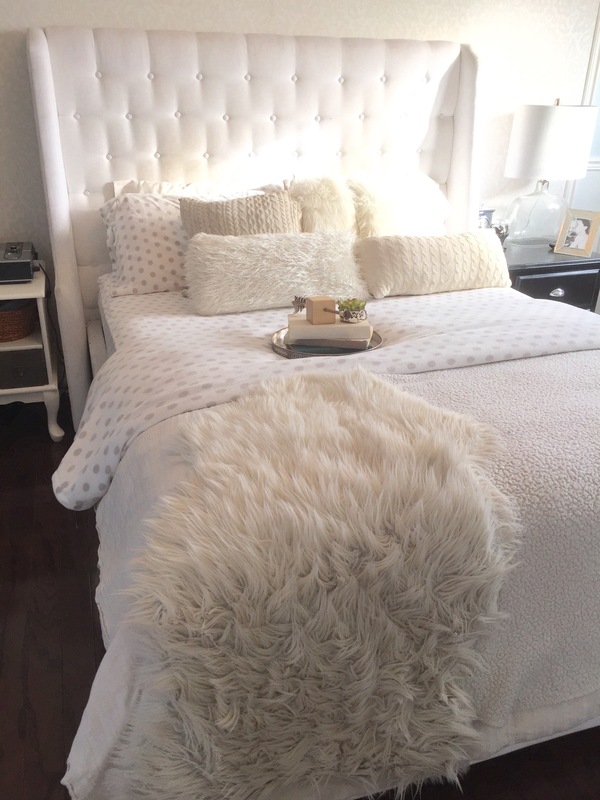 To help add more coziness, I took my faux sheepskin from Ikea that usually lays on the floor and added it to the bed. I also put a warm throw blanket on the end of the bed to add even more texture. Step 4: Choose warm tones. 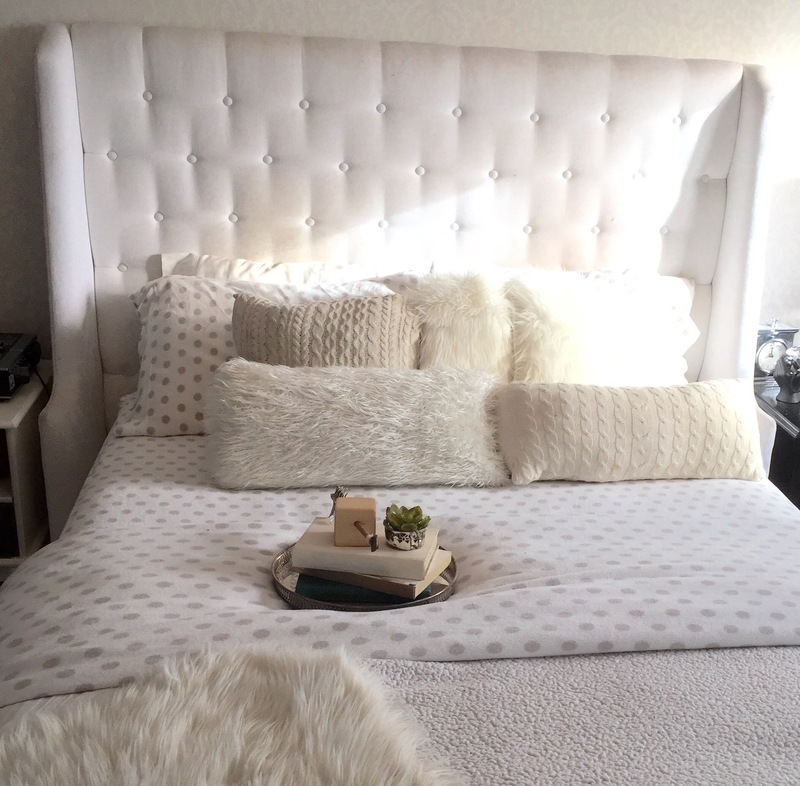 White can be tricky to make warm, so for this bed, I made sure to use lots of cream tones. 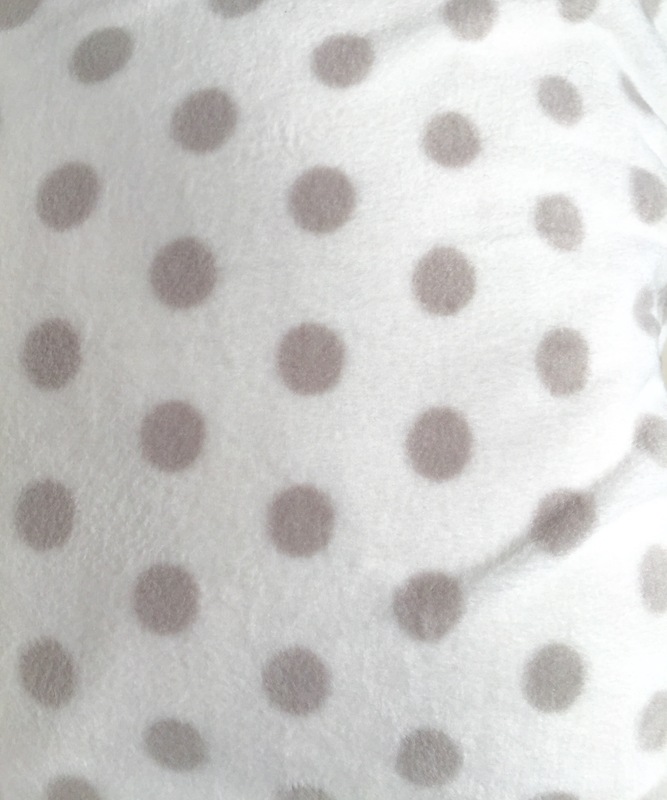 Plus the warm grey polka dots on the sheets make it feel nice and cozy. Step 5: Mix and match. 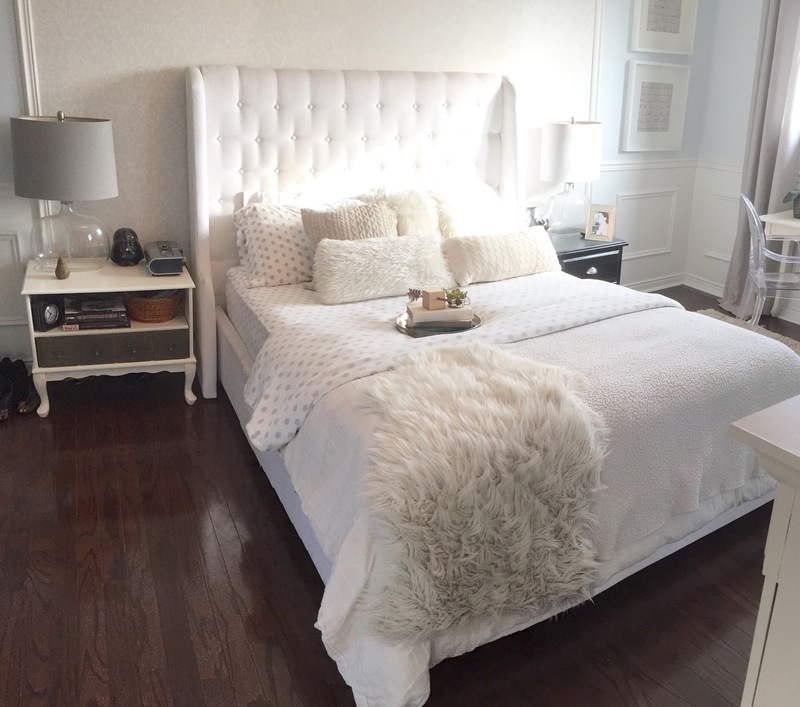 Adding warmth is all about layering and different textures, and I didn’t want to forget about the floors. I recently cleaned out my daughters closet and rediscovered this cream and beige swirly shag rug that I had forgotten about. 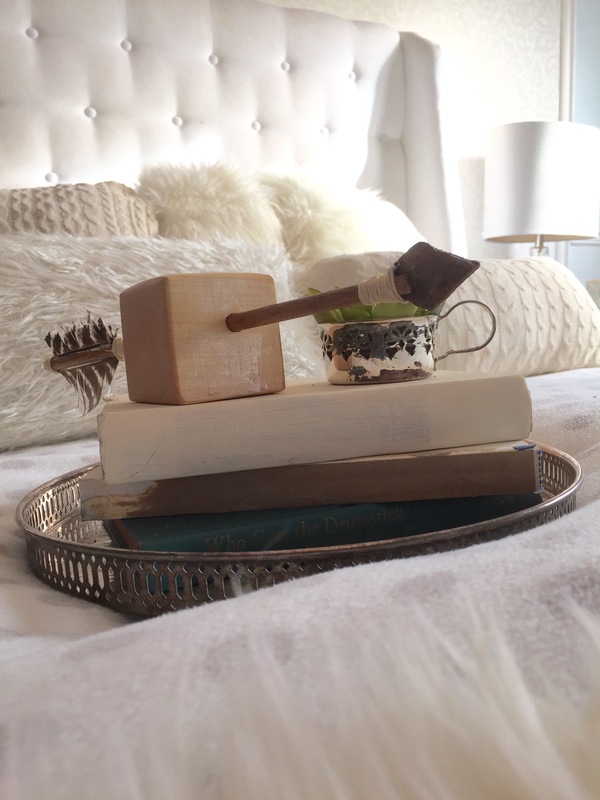 I gave it a quick vacuum and voila: perfect addition to my cozy winter bedroom. Lastly, I added some cute accessories to help give the space some life. I picked up this really cool “arrow through a wood block” thing at Goodwill a year ago. I’m really not sure what it’s for, but I love it, and it also looks cute on top of a stack of old books. This makes me want to go get back in bed and snuggle up. Stay warm and cozy my friends, and I’ll be back again soon with another post. Hi Sandra. I’m so grateful for your sweet comment. Thank you so much, and I’m glad you found my blog too 😉 lol. Make sure to check in again next week when I’ll be doing my first ever Giveaway. I’m so excited.